Wylde Ivy scents mixed with a Jojoba and Coconut Oil base. 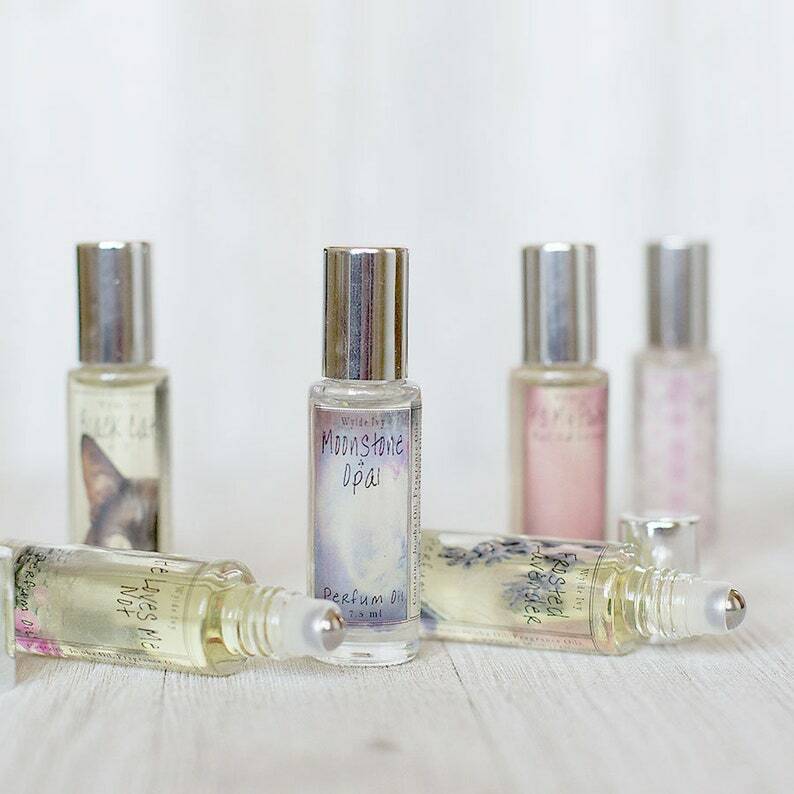 Perfume Oils are packaged in 1/4 ounce glass bottles featuring gorgeous labels and genuine Swarovski crystals. Never worry about spills with these chic little perfume bottles that feature a smooth stainless steel roller ball applicator top. Perfume Oils do not “lift” from the skin as aggressively as alcohol based perfumes, which makes them perfect subdued personal fragrances. There are no silicones in Wylde Ivy Perfume Oils. Because of this, the carrier oils will eventually be absorbed into skin which may make repeat applications necessary on some skin types. 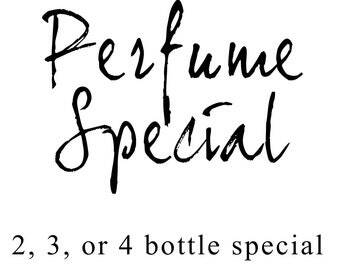 Perfume Oils are the perfect choice if you prefer to wrap yourself in more personal scents or are sensitive to alcohol. Oil based perfume formulas allow for the fragrance to mingle with your skin chemistry more readily, creating a unique and personal fragrance experience. Wylde Ivy Oil Perfumes come in 1/4 ounce cylindrical glass bottles topped off with a silky smooth stainless steel roller ball applicator. They feature beautiful full color labels that are unique to each scent. Enclosed in every bottle are genuine Swarovski crystals! Excellent customer service. I was sent the wrong perfume oil (very similar smell & packaging, easy mistake to make.) The seller went above & beyond. I was quickly sent the right one. It smells so feminine and pretty. There is a VERY strong tobacco smell when first applied, but it wears away to something sweet and soulful. The scent doesn't last long on me though. If you love fragrances that are one-of-a-kind and each tell their own story, if you are not wearing WyldeIvy, you are missing out. The compliments I've gotten from all of her scents over the years are unreal. I haven't ever gotten a scent I don't like. And I will NEVER be without a bottle of Violet Fluff. The bottles are beautiful, her shipping is always fast, and her scents are an experience to be savored. Bravo, ma'am! Keep up the amazing work! P.S. The new Midnight Bella and Running with Butterflies are to die for!